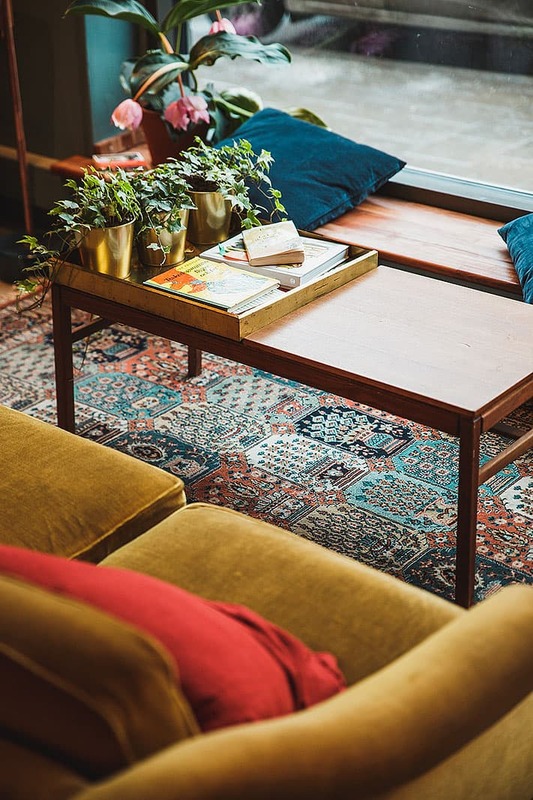 Figuring out what to do on your day off can seem like a daunting task - but fear not we have got it all figured out. 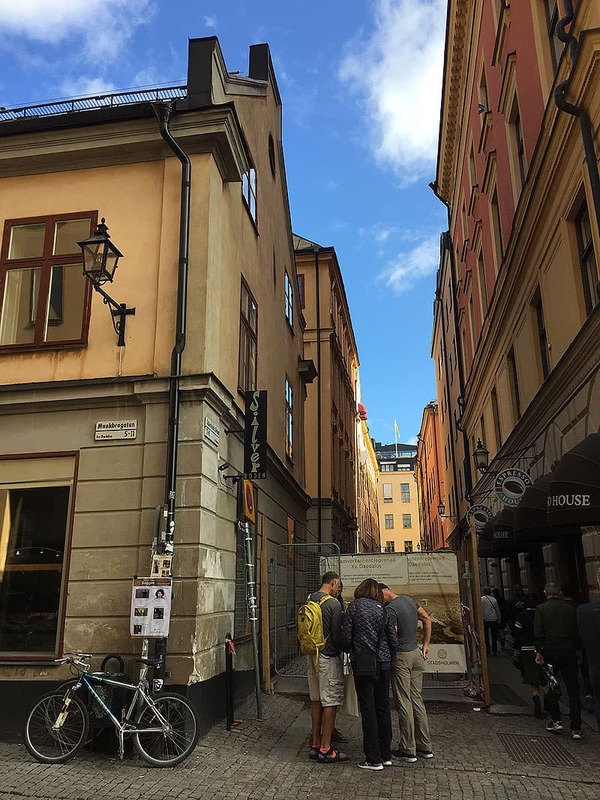 There is an abundant array of activities and things to do in Stockholm, but choosing between them can be difficult. Therefore we have made it our mission to help you decide on what to do. 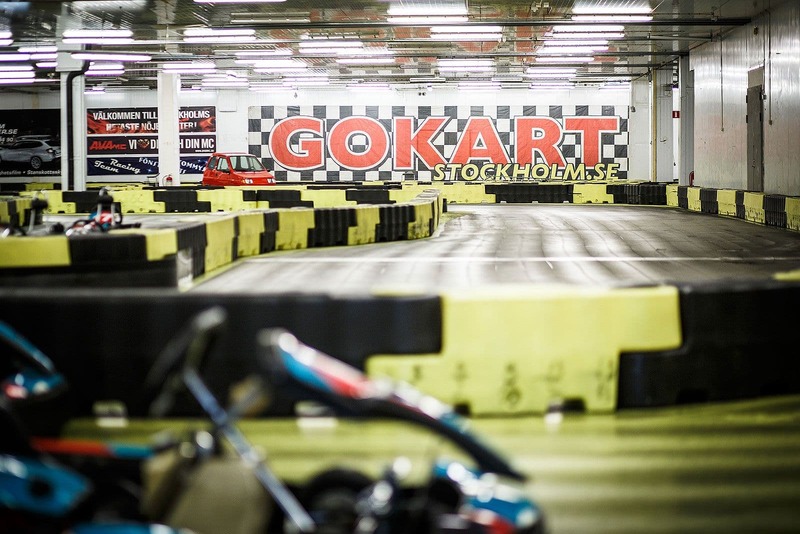 Our guide to fun activities in Stockholm is devised to inspire and advise you. 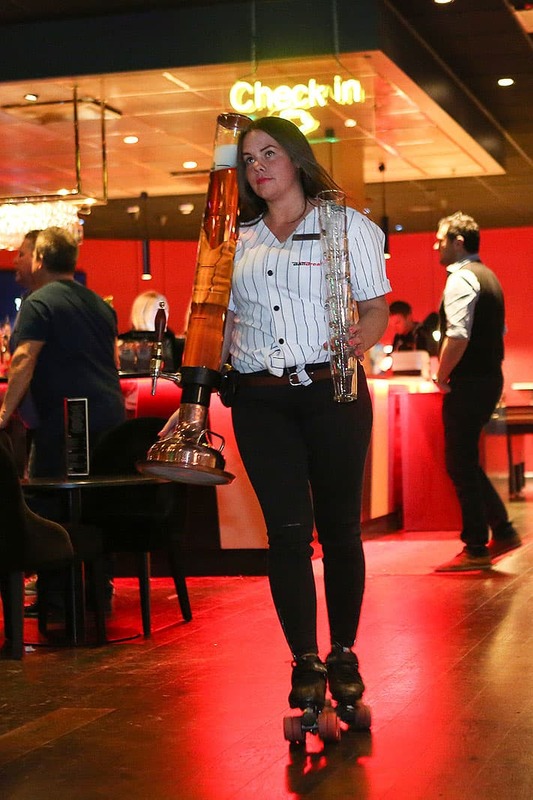 It is fit to burst with fun-packed activities for the whole family, corporate events and for those of you looking for the perfect bachelor or bachelorette party activities - you've come to the right place. 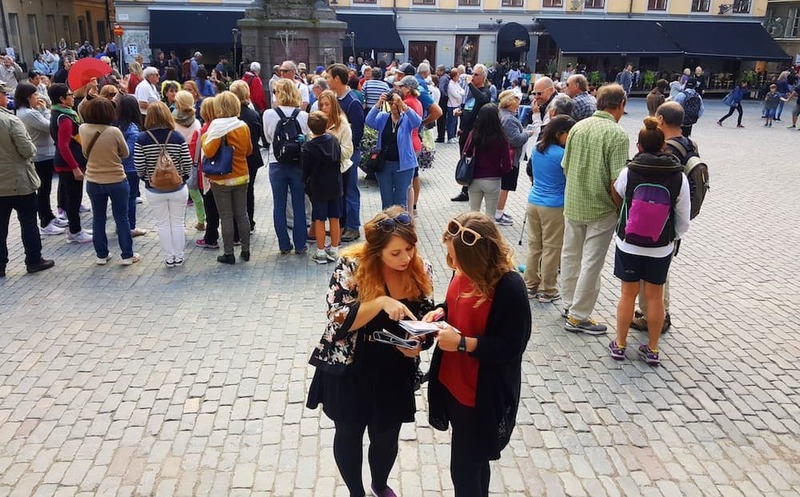 Sightseeing, museums, guided tours and hidden gems - Destination Stockholm offers 75 unique experiences through the purchase of an all-inclusive city-pass. 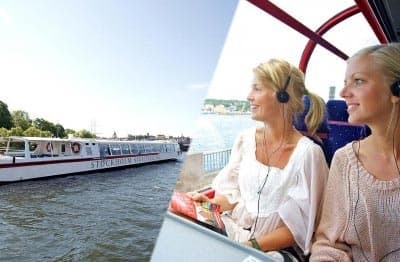 This includes free entrance to several attractions, free trips on-board the Hop-On Hop-Off buses and boats, as well as discount deals at several restaurants. 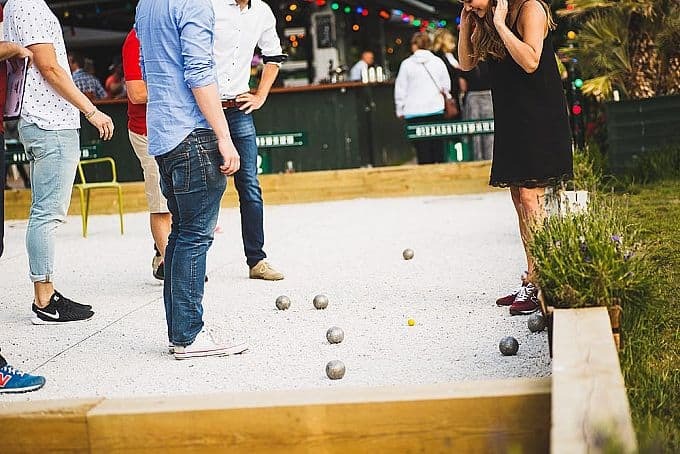 Ballbreaker's multiple offerings make for the ultimate fun-packed evening - be it stag-dos, corporate events or casual hangouts. 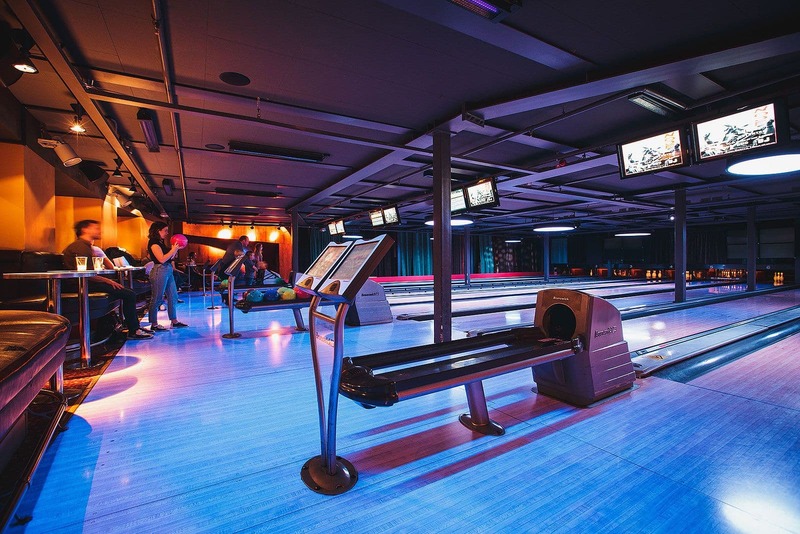 Choose from an array of activities such as disco bowling, mini-golf and hunting simulators. 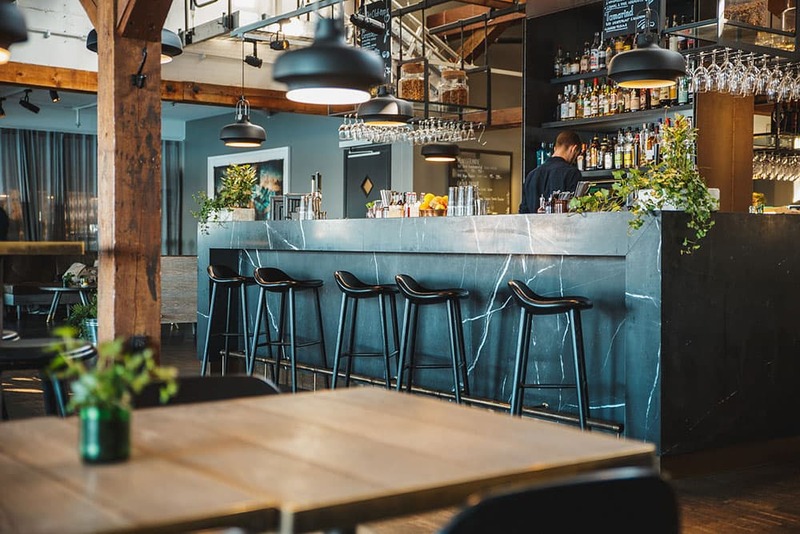 The modern neon-lit premises also house a well stocked bar and restaurant. 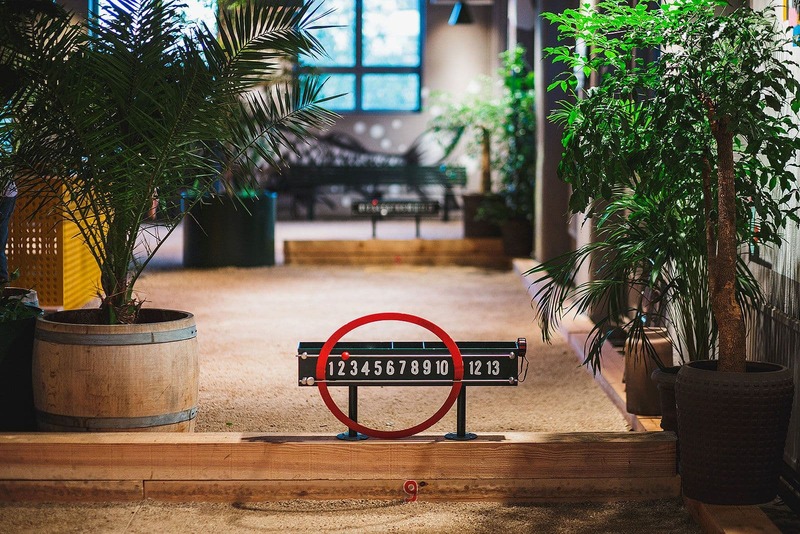 From the parks in southern Europe to company events and chilled hangouts - boule is the thing to do, rain or shine. 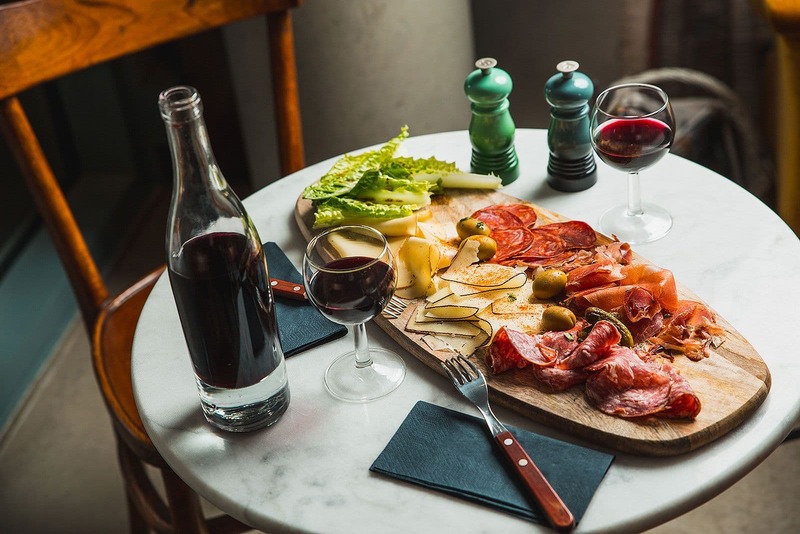 Why not combine an afternoon of fun with some French cuisine? Bring your family, friends or colleagues along. 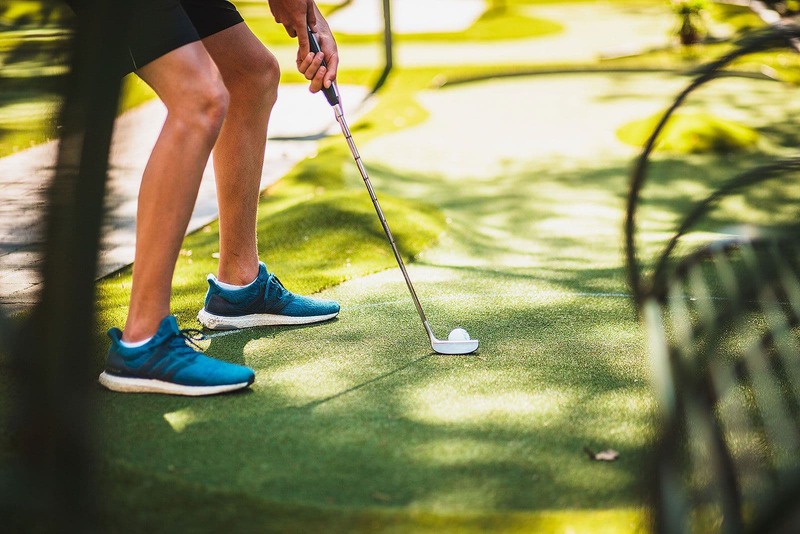 Mini-golf is an easily enjoyed and relaxing activity for the whole family or group of friends. 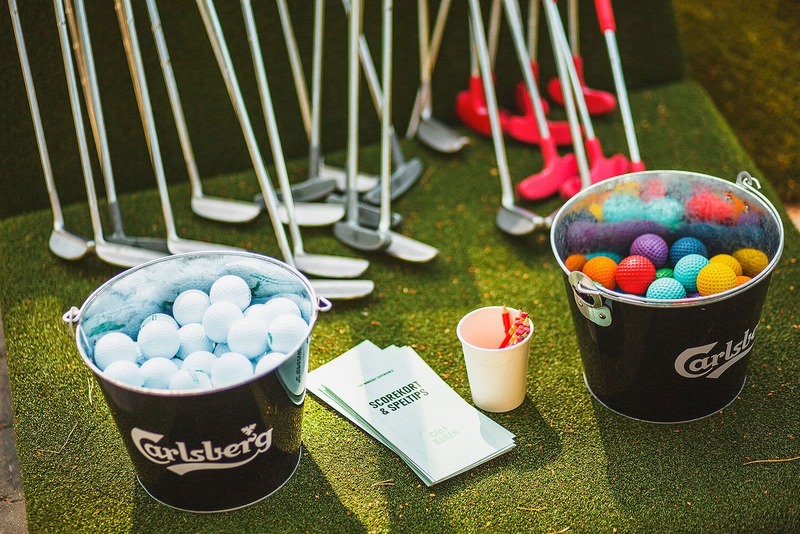 Forget about expensive green fees and golf-handicaps - a little concentration goes a long way. 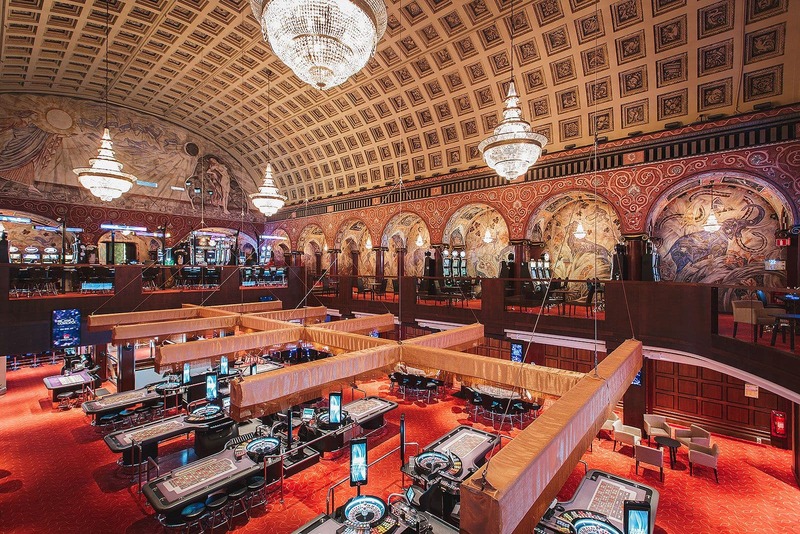 Casino Cosmopol is Sweden's largest casino with over 400 slot machines and 31 gaming tables. 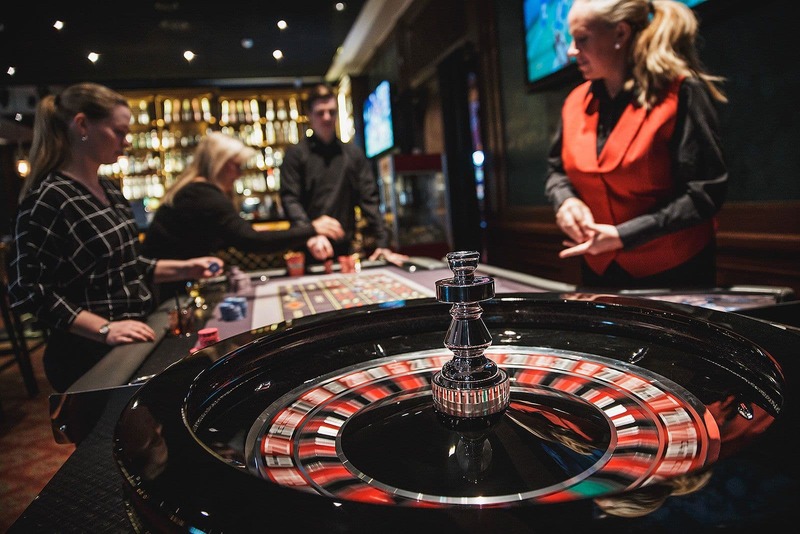 Late night wining and dining is a given - jazznights, live tournaments and other entertainment is part of the offering. 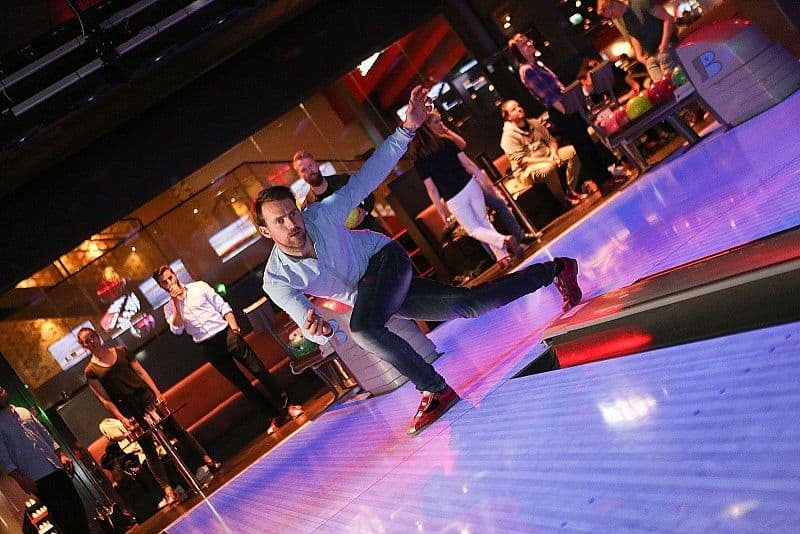 The authentic Las Vegas-vibe appeals to a wide audience. There is nothing quite like a thrilling game of logic IRL. Participants are locked in a room (read prison cell) and are given one hour to escape, something that both cunning and team effort. 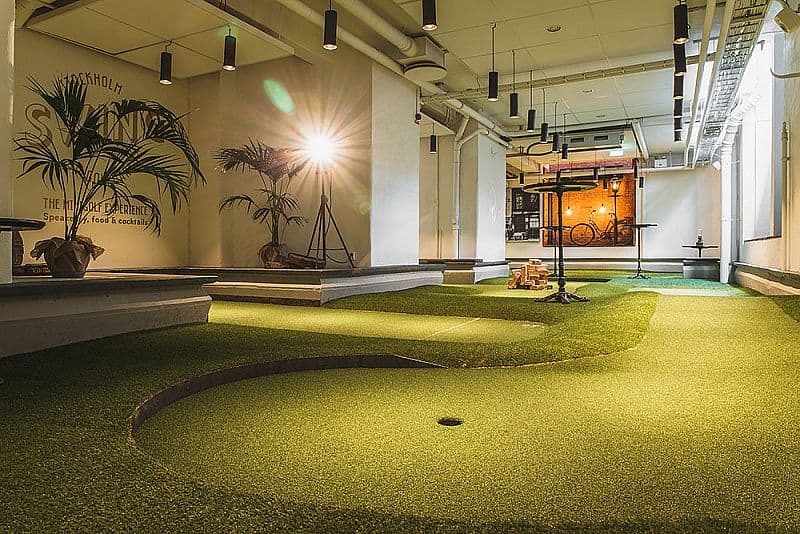 The ultimate activity for both friends and colleagues. Each group consists of up to six people and anyone can join. 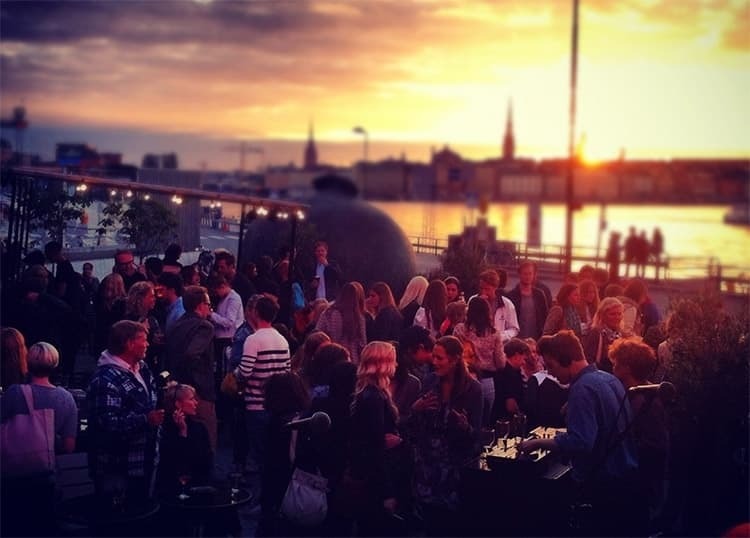 Feel like you know Stockholm pretty well? 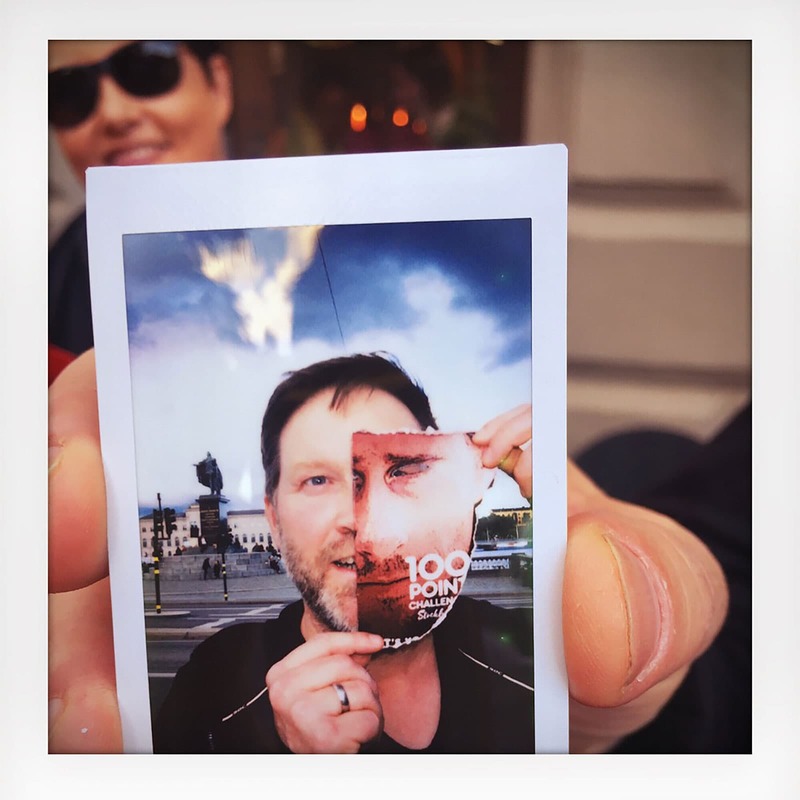 100 Point Challenge takes you all around town to answer questions on the city's culture and history. Each team has two hours in which to complete various challenges at well-known places in the city centre. 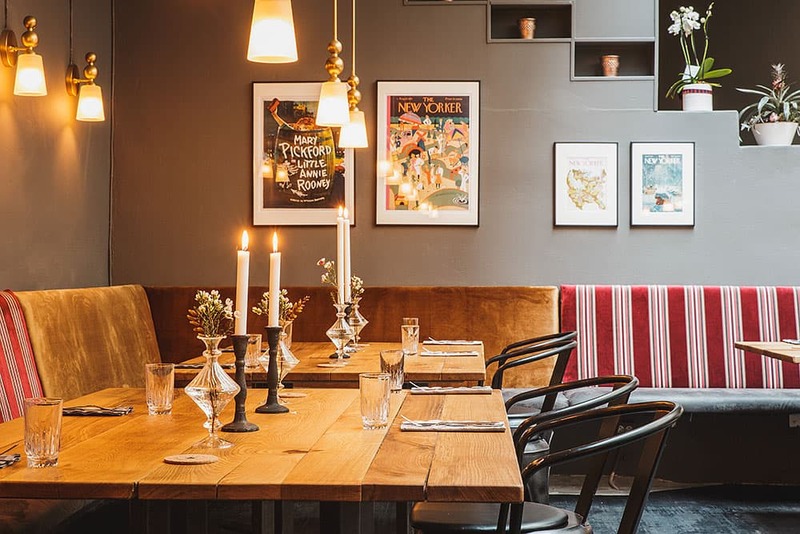 There are three different versions depending on how well you know Stockholm - making it perfect for locals and tourists alike. 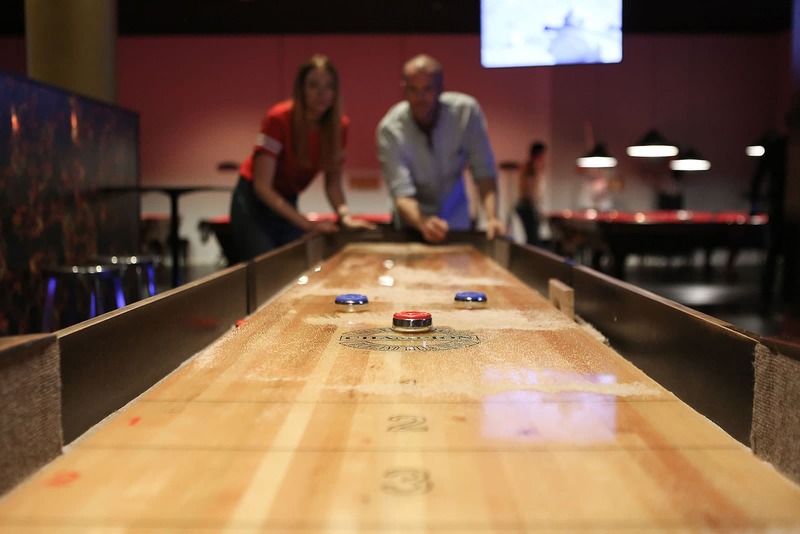 Few sports are closely associated with relaxed hangout sessions as pool. 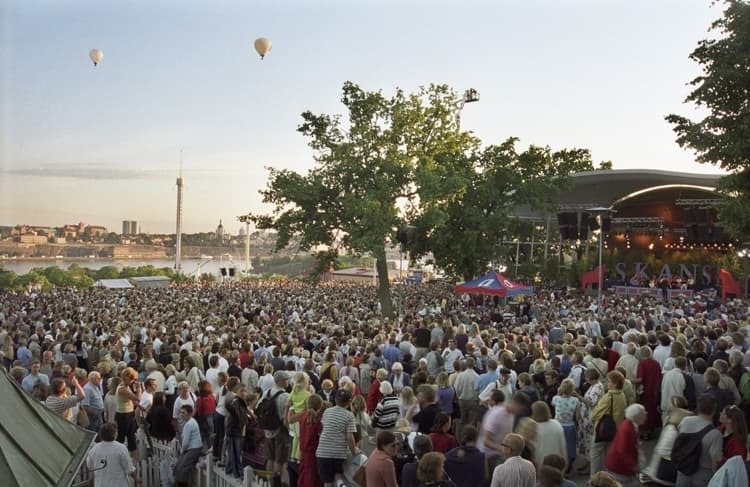 There are multiple venues in Stockholm. 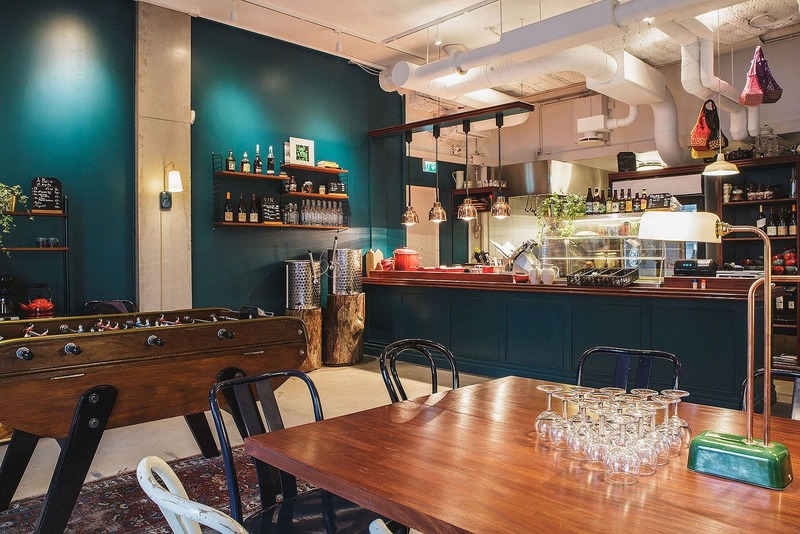 Learn to work a kitchen or a cocktail shaker like a true Marseillaise - this French restaurant on Kungsholmen has a food and cocktail studio where you can gather your family or friends for a chilled group activity. 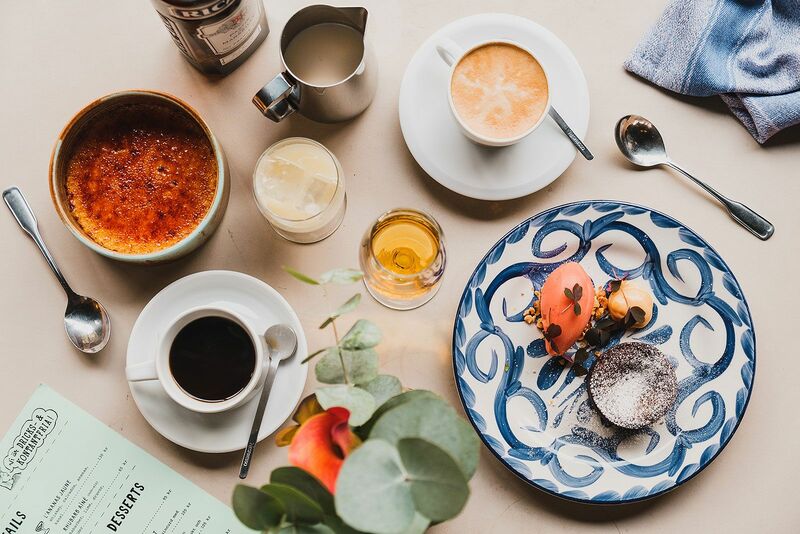 Take a cookery class (includes use of the rotisserie) or create your own cocktails and round off the evening on the sofa. 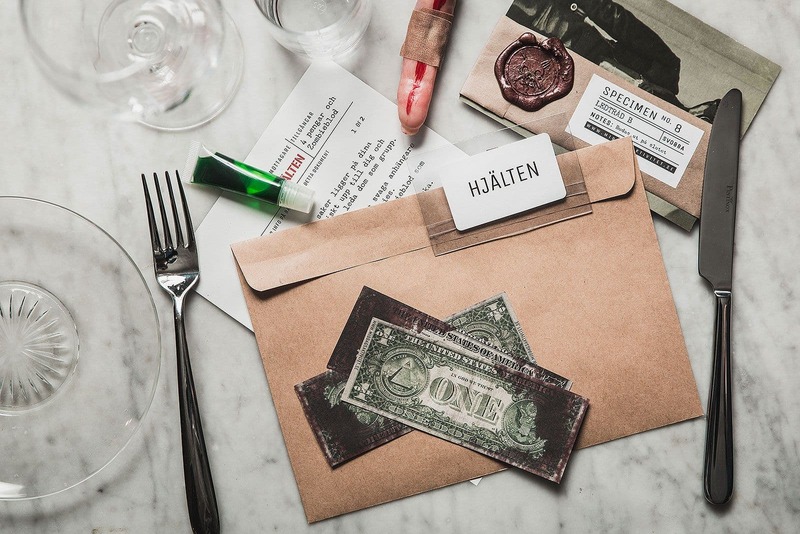 Combine a dinner, party or teambuilding exercise with solving murder mysteries and saving the world from a zombie virus. 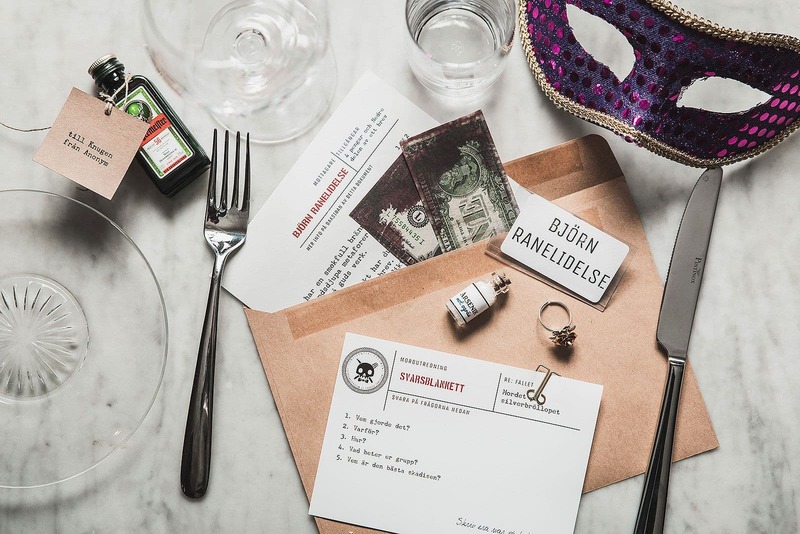 Props, role play and competitive elements are all part of the fun, entertaining evening experience. 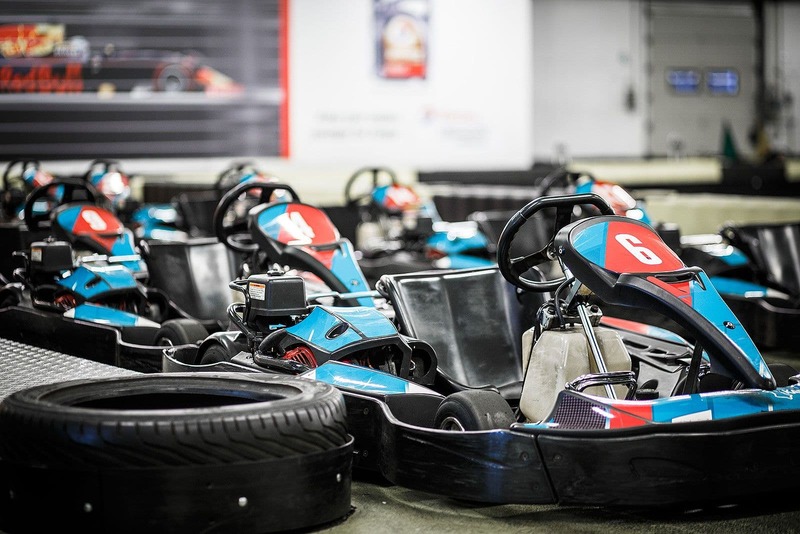 The event is suitable for all types of groups and budgets. 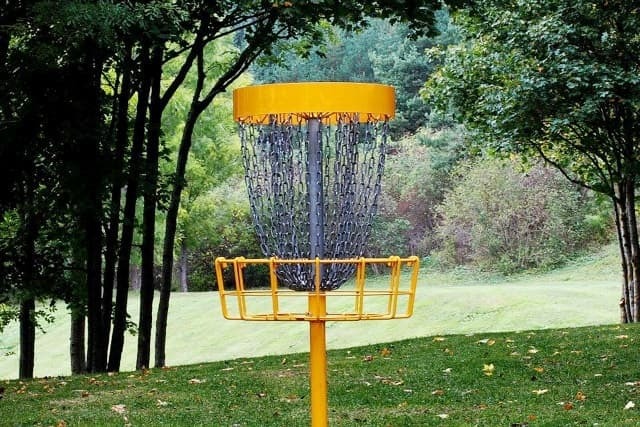 Believe it or not - Frisbee golf - or disc golf as it is also referred to, is actually a thing. 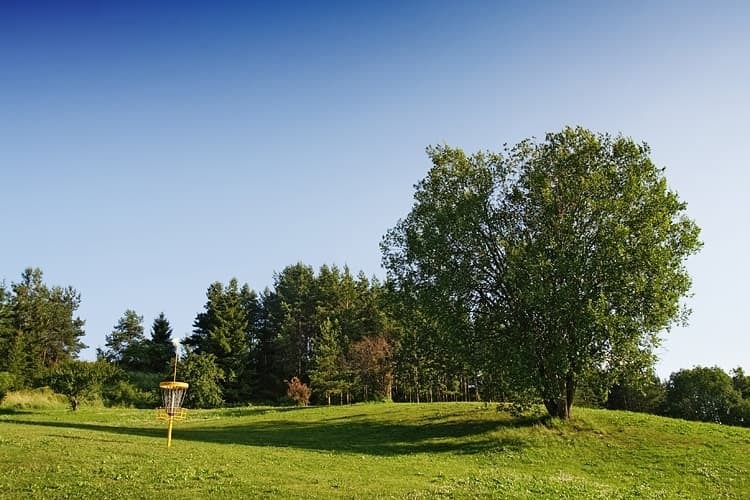 The famous 27-basket Järva Discgolf course is located 20-minutes from the city centre. 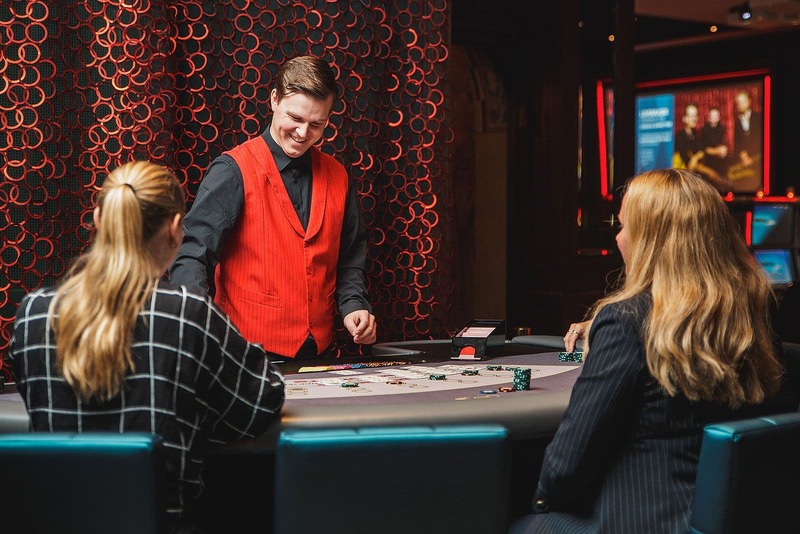 The course is one of the best in Sweden and is suitable for all levels of expertise. The vicinity to nature and competitive element enhances the experience. Put your slippery bowling shoes on and join in on the fun with friends, family or colleagues - choose the traditional route or spice it up with some disco bowling. 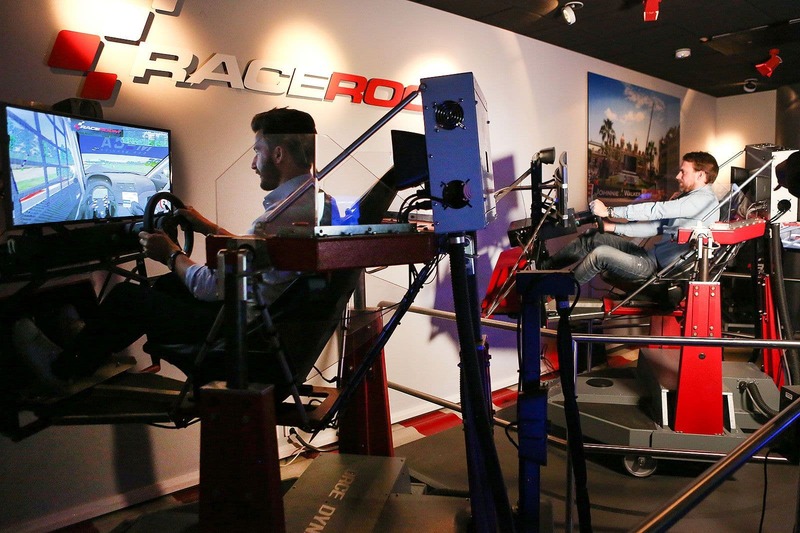 Gaming, which previously only appealed to kids, now also attracts wider audience. Inferno Online is reportedly one of the largest gaming centres in the world - featuring 300 computers, adding action, sports and strategy games to its repertoire. Ideal for all-nighters with friends. 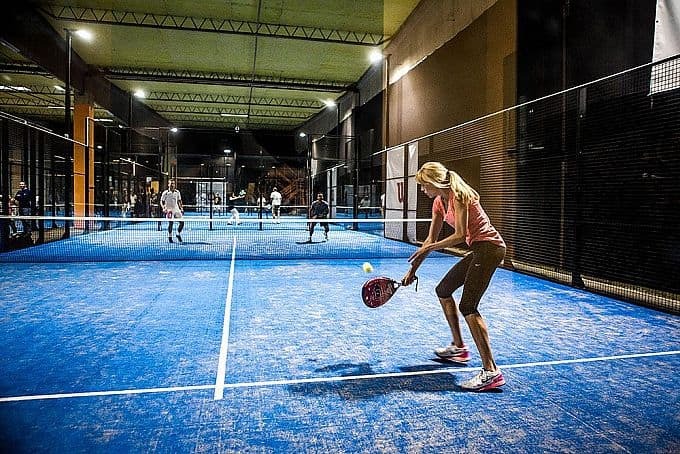 It is hardly surprising that padel tennis is one of the fastest growing racquet sports. 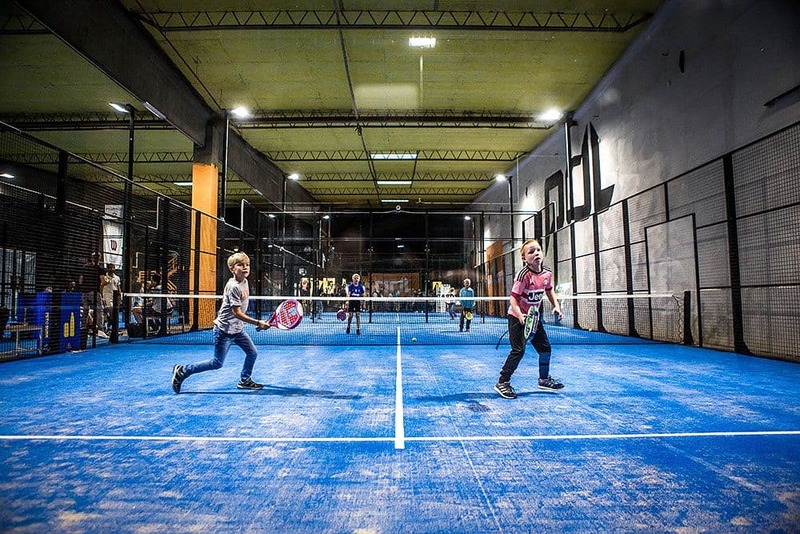 Padel, a combination of tennis and squash, is both simple and fun - anyone can join in, whether novice or pro. 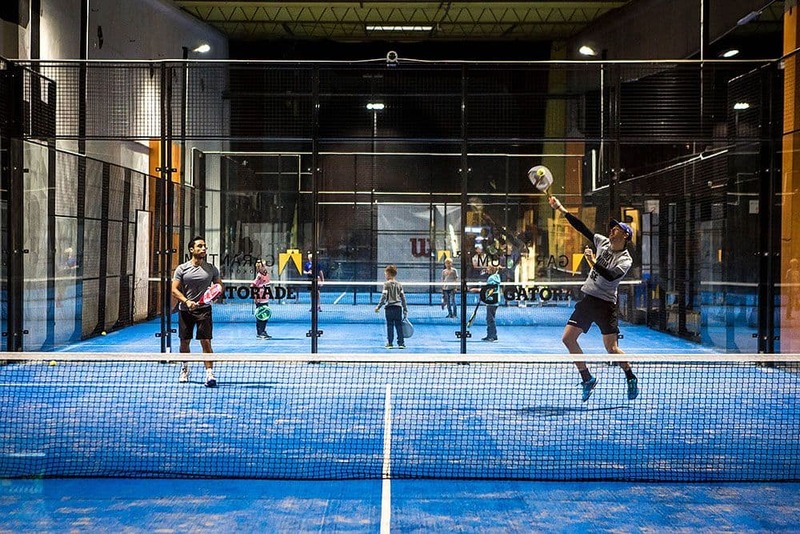 The city's first indoor hall boasts multiple bookable courts - open all day and night. 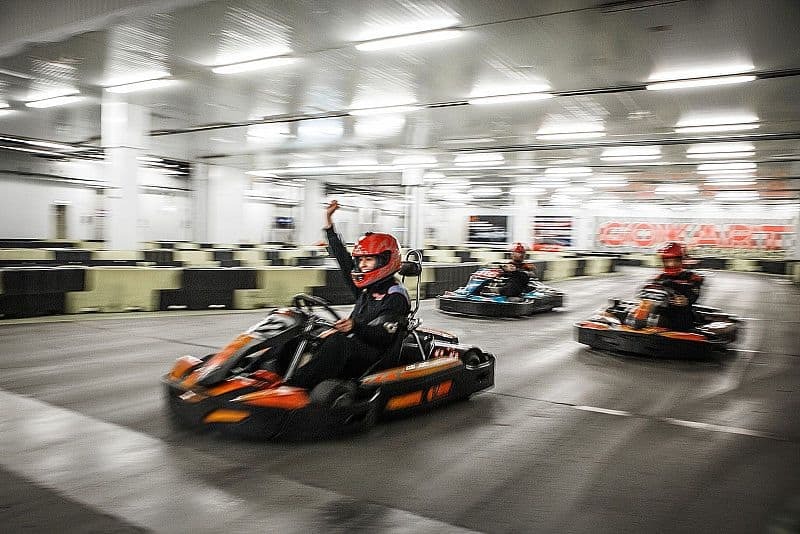 This easily accessible motor-sport has become a popular option for corporate team-building events, family reunions and private events. Full speed ahead! Whether novice or a pro - climbing is guaranteed to get your blood pumping. 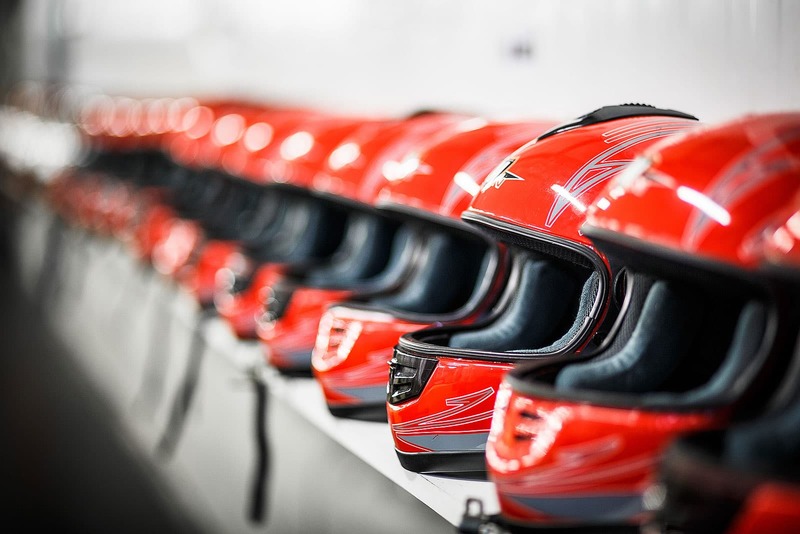 Test your limits and challenge colleagues, friends, classmates or the bride or groom-to-be. During the summer months skis are exchanged for mountain bikes at Hammarbybacken. 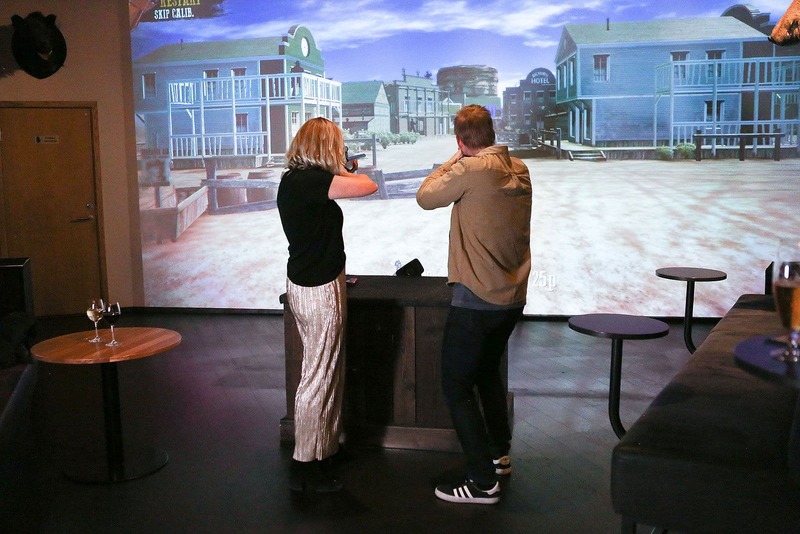 A heavy workout disguised as a fun, action-packed activity, what could be better? If you are unable to make the trek to the mountains and get your dose of fresh air and powder snow, do not despair, there are some viable options nearby. 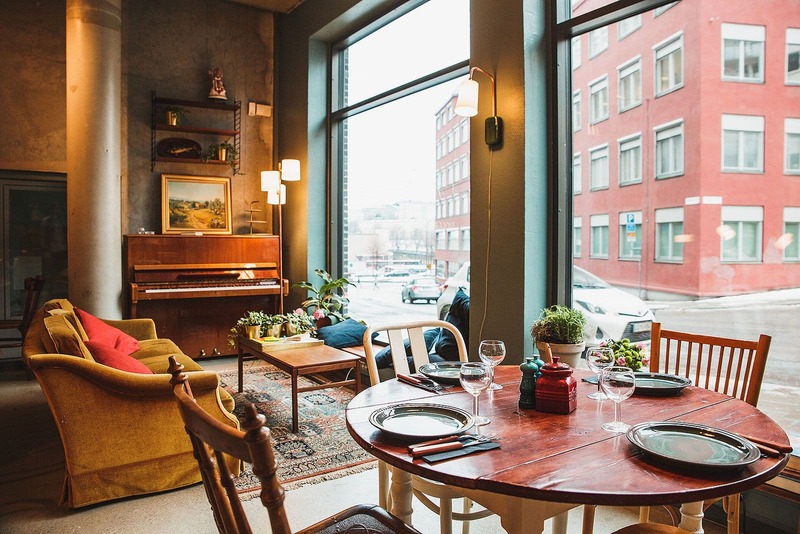 Plan a trip to one of the many slopes in Stockholm and its surrounding areas. Make a day out of it - blending exercise with cool city views. For those of you looking for some action, who are unafraid of a little colour - or pain for that matter - paintball is the thing to do. 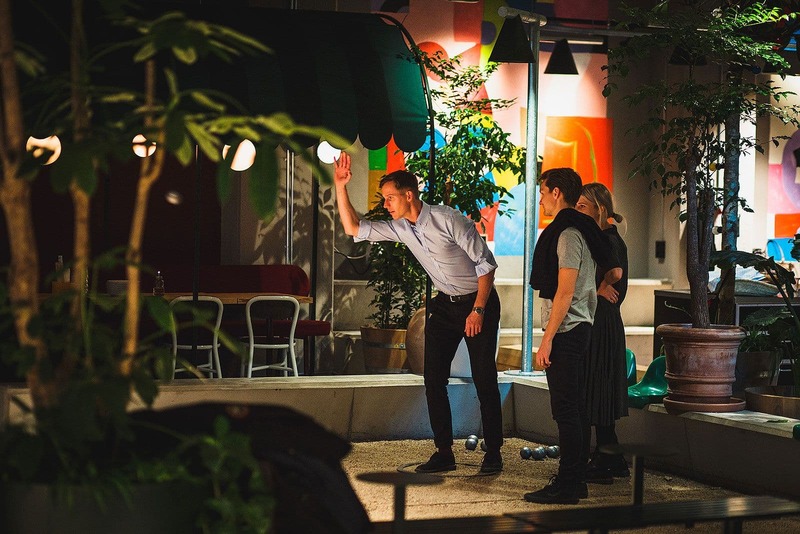 Team up with colleagues and challenge your opposition, or why not incorporate it into your hen or stag do activities. 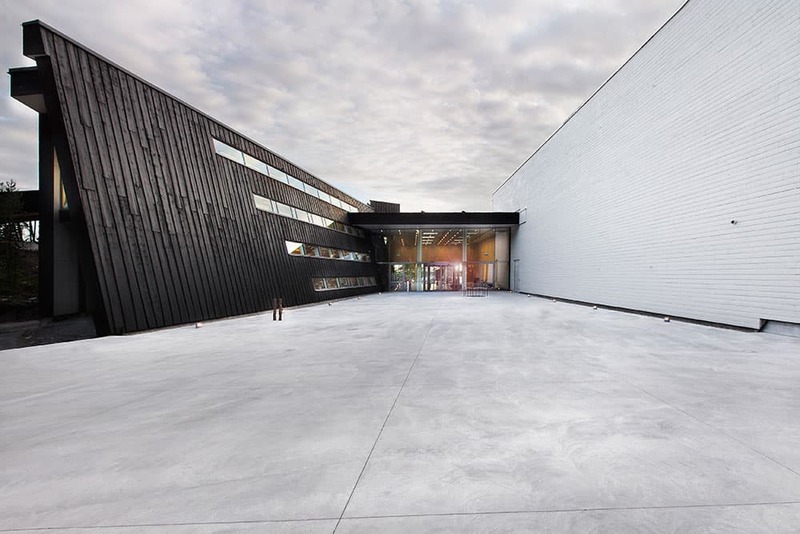 Put the laws of gravity to the test at this enormous activity centre. The concept comes from Australia and there are over a hundred trampolines, with dodgeball, a parkour area and lots more for all kinds of visitors. Perfect for when you want to get your exercise and adrenaline kicks at the same time! 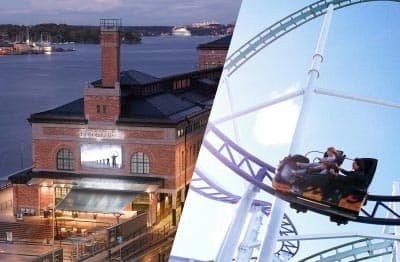 Gröna Lund is Sweden's oldest amusement park and to this day continues to appeal to a wide audience. 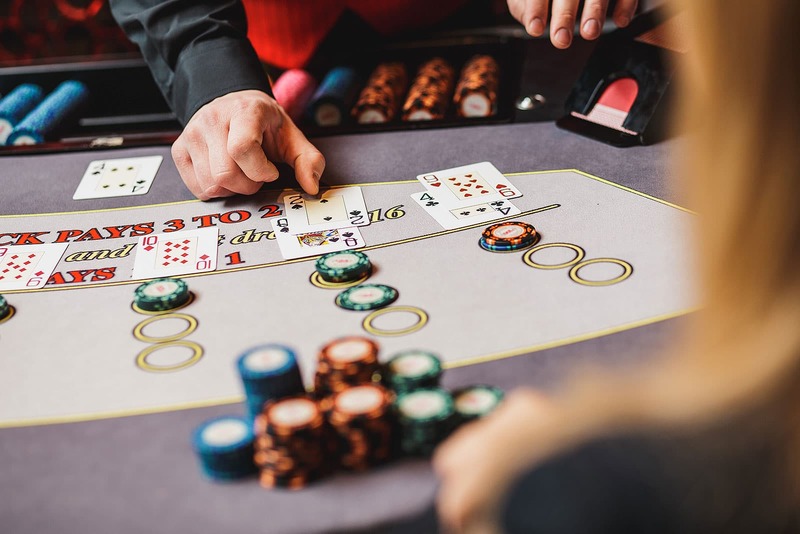 The theme park boasts of 31 attractions, 21 pentathlon games, several restaurants and a stage upon which several major artists have performed. 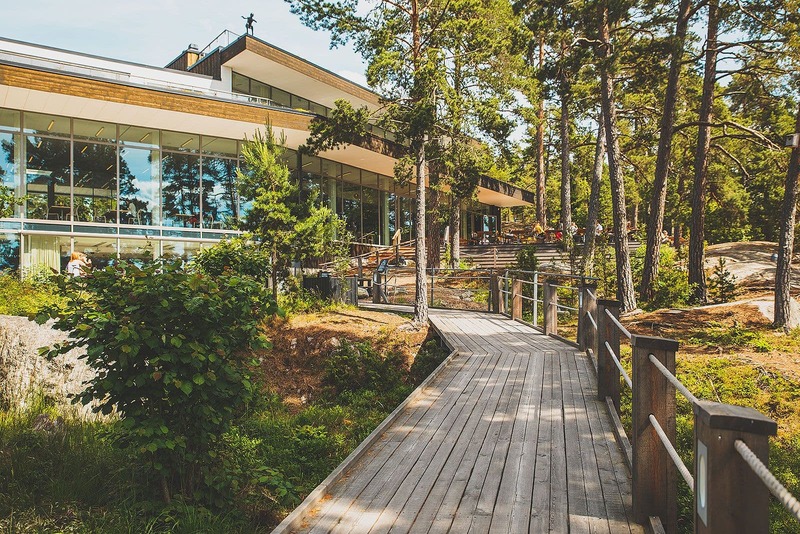 Conveniently located just moments away from Arlanda airport, Cable Park offers an all-inclusive experience for the water sports enthusiast. The full-size cable park offers activities such as kneeboard, kiteboard and wakeboarding, featuring obstacles and jumps in the water. Visitors are also invited to play beach-volleyball, dine in the restaurants or relax in the clubhouse. Have you ever wondered how it feels to hover freely in the air? 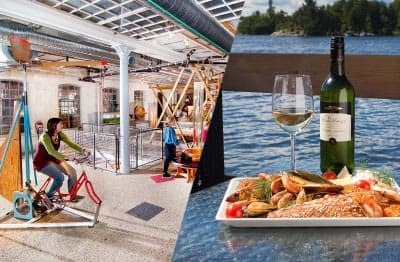 Test your wings at Sweden's first, and the world's highest, wind tunnel at a former brewery in Bromma. A thrilling experience that's perfect for teambuilding, kick-offs and various corporate events. 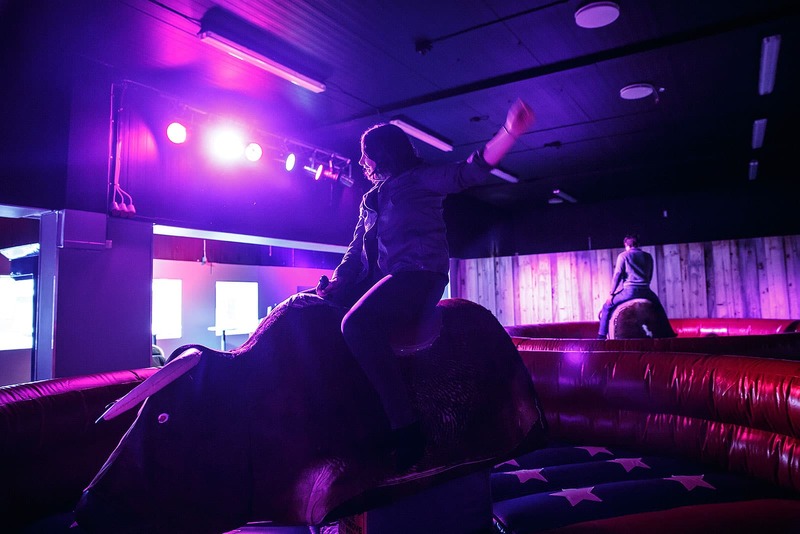 It could also be a great way to get your hen party or stag do off to a flying start. Waterparks are a popular family activity, especially for the kids who love riding water slides and swimming in the currents. Additional amenities often include competitive sized pools for laps, water aerobics, gym and other activities. If you are lucky, water polo may even be added to the repertoire. Segway is perhaps the most comical way of getting around town. For those in the mood for some exercise, bicycles are readily available for rent throughout the city - for both locals and tourists. 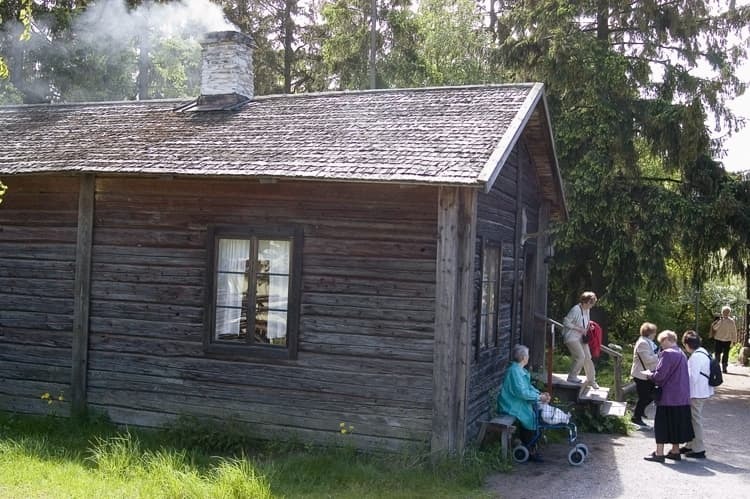 Skansen is Stockholm's only zoo and the world's oldest open-air museum. 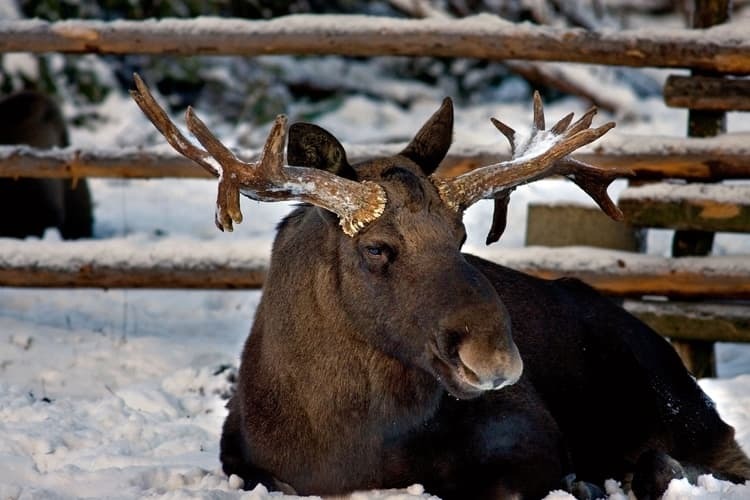 A popular destination all year round, Skansen prides itself with offering visitors the chance to experience both wildlife and culture, such as the authentic 19th century buildings and quaint annual Christmas market. 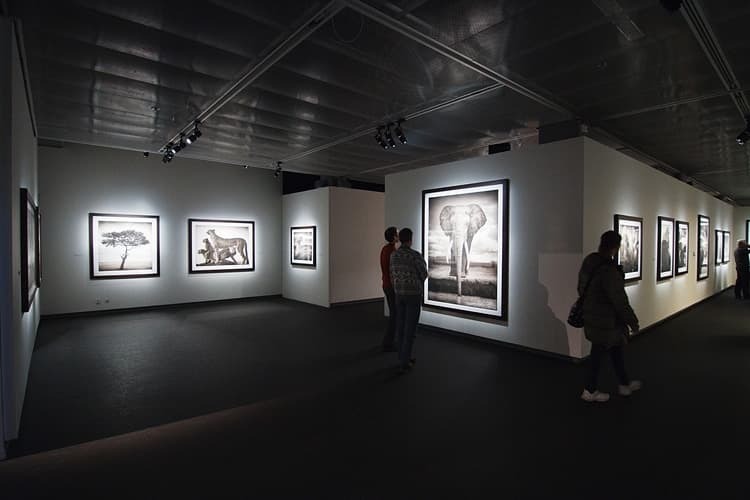 Fotografiska is a popular addition to Stockholm's cultural offering and features famous photography exhibitions. 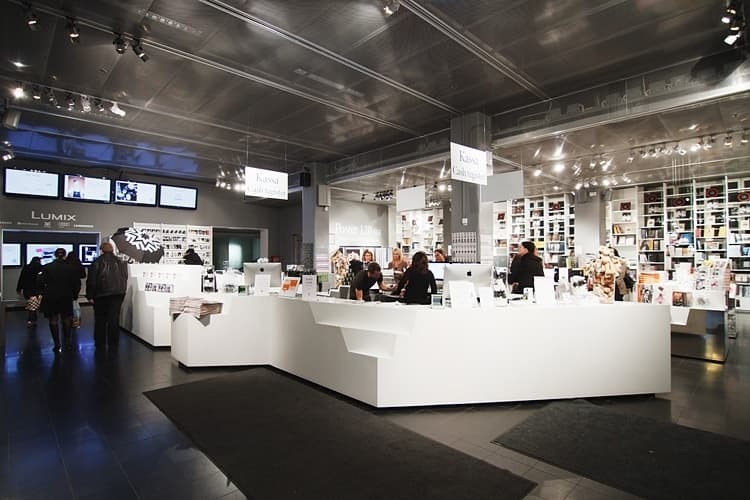 Apart from its exhibits Fotografiska organises workshops, music events and parties. 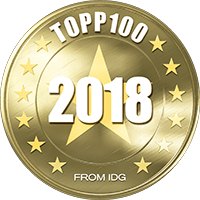 The in-house restaurant has a notable reputation, the waterfront views are breathtaking and the gift shop features hundreds of coffee table-esque books - the perfect I-don’t-know-what-to-get-you gift. 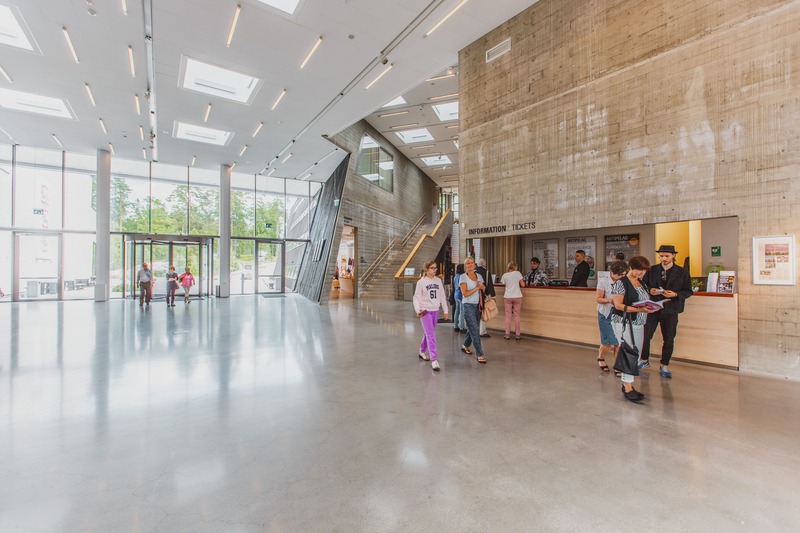 This architect-designed art hall out on Värmdö has lots of fun activities for all the family. 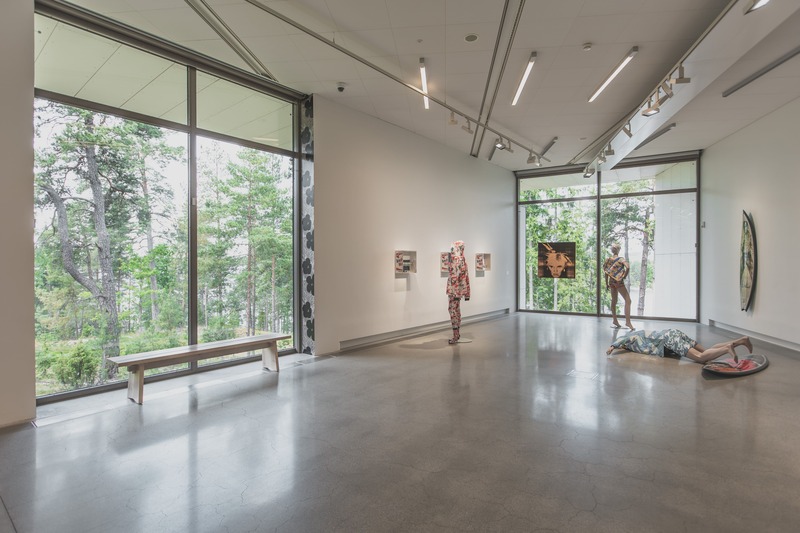 As well as visiting exhibitions, you can go to workshops and events, or just take in the beautiful archipelago surroundings. 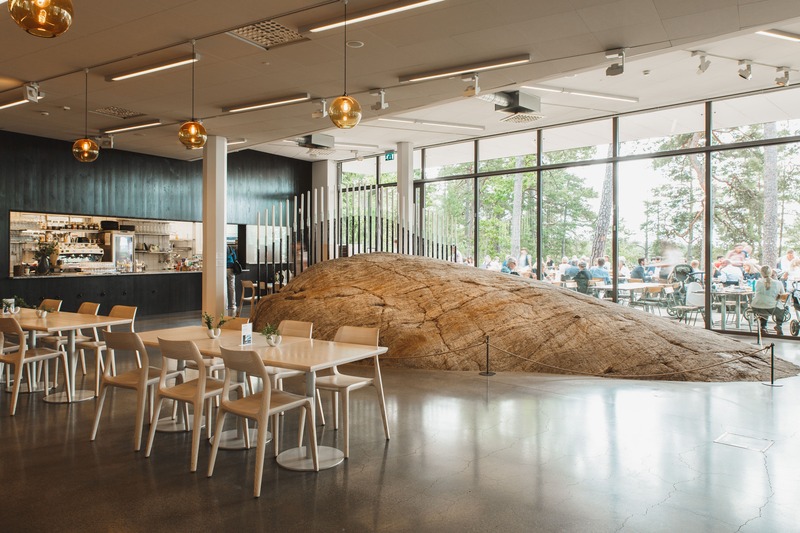 There's also a café and restaurant with its own bakery and stunning views. The onset of picnic-season is long awaited; outdoor dining offers locals and tourists alike, beautiful views and proximity to nature. The bountiful parks and greenery entails that there are no shortage of scenic picnic spots - just make sure to get there on time to claim your territory. The best way to get acquainted with a city is by foot. 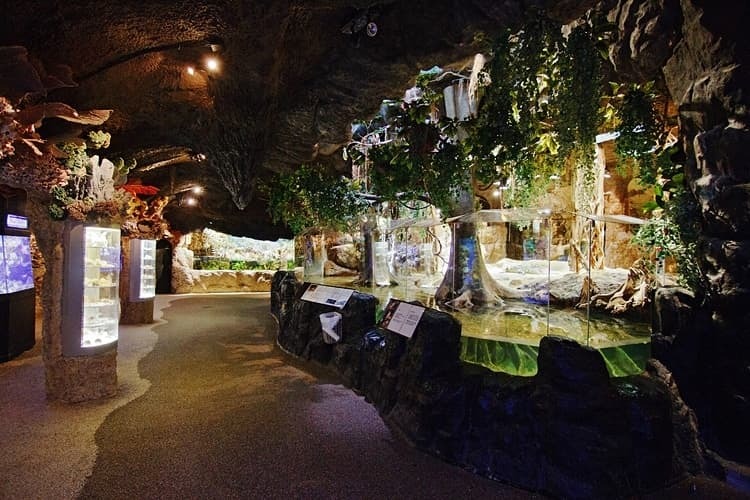 Take a stroll along the scenic promenades or in one of the beautiful parks. Enjoy fresh air and exercise for free. 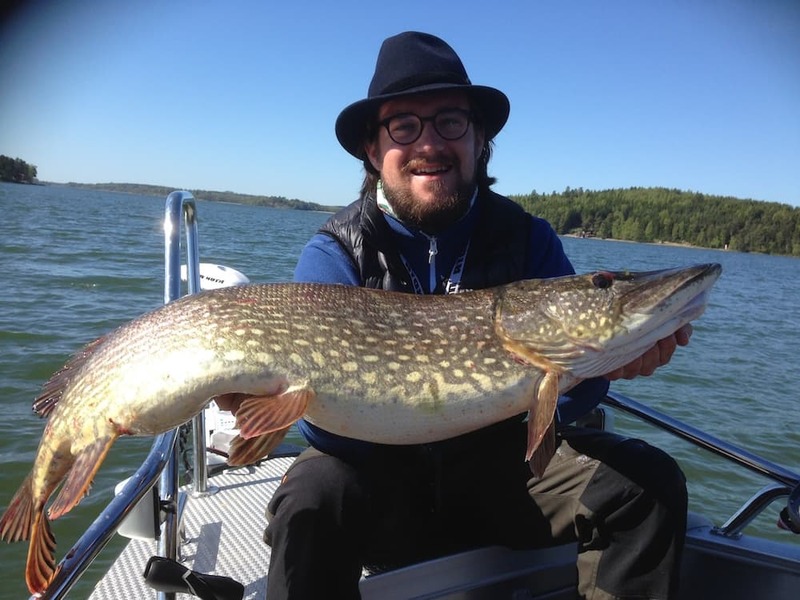 Fredrik Beck, also known as the Gäddjägaren ("the pike hunter"), has won masses of fishing prizes and offers guided fishing trips where you're guaranteed to catch a pike. Usually a full day out with lunch grilled and eaten out on an island, but half-day tours can also be arranged. A fully-equipped sport fishing boat, life jackets, lunch and everything else you need is included. 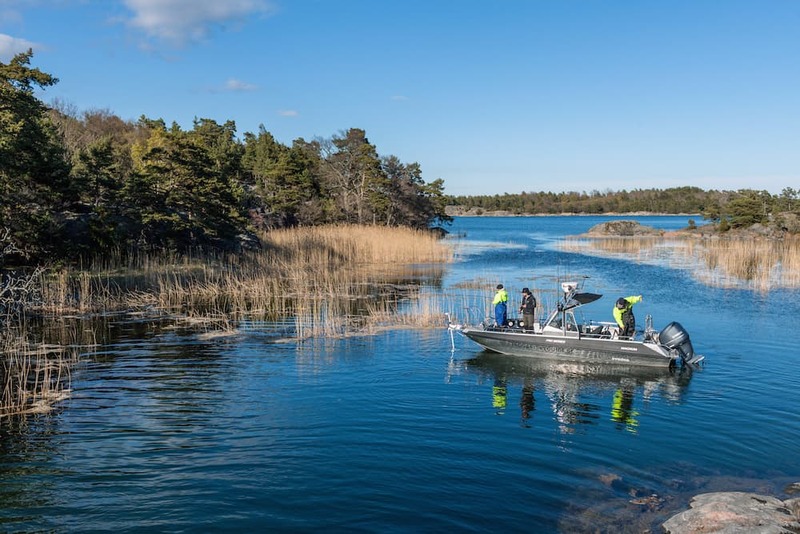 Tours take place in the Trosa archipelago, some of the best fishing waters in Sweden - especially if you're after pike. The journey there takes around 40 minutes and Beck will usually meet you quite early in the morning and you're back in Stockholm around 6pm. 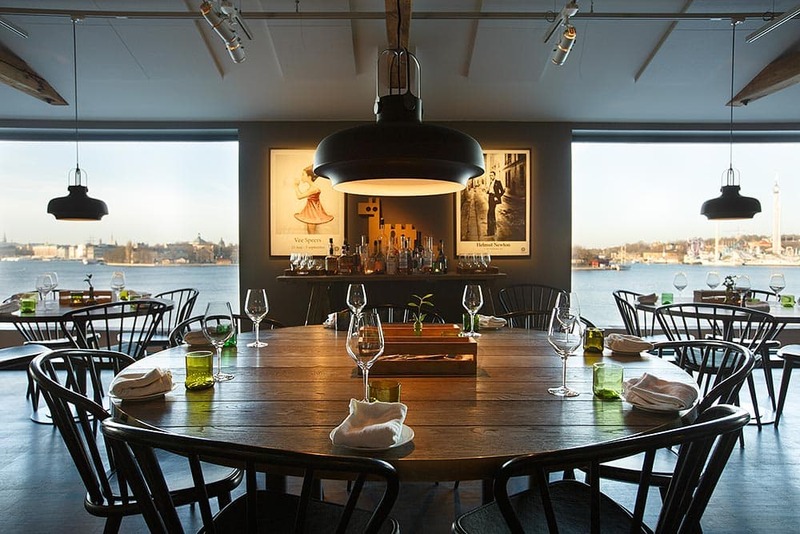 Stockholm is famous for its exquisite waterfront location - so what better way to see the city than by sea? Rent a kayak or canoe and paddle from island to island to see the sights - no previous experience is necessary. Fancy a swim? Few capitals have a greater offering than Stockholm when it comes to swimming in nature. Take a dip in the deep blue, as a cool respite from the summer heat or brave the winter cold and go for a polar bear plunge. Bergianska botanical garden has a rich history and dates back to the 1700's. 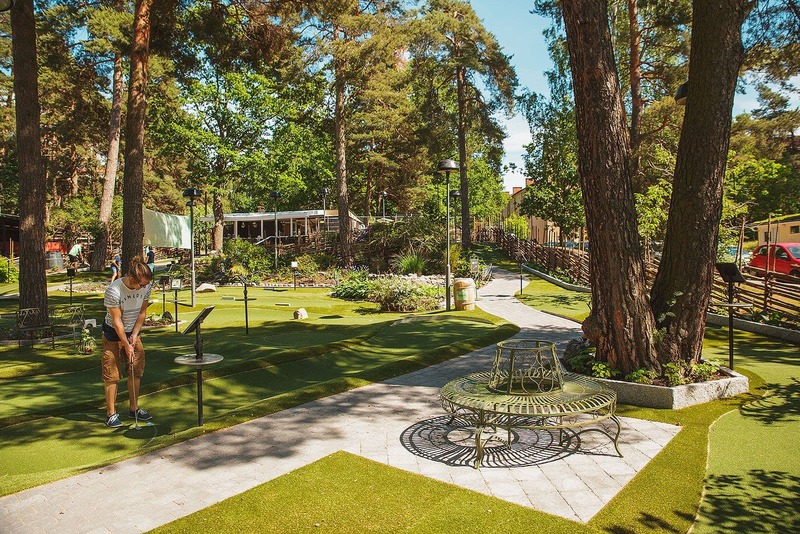 Located next to Brunnsviken the garden is home to hundreds of plants. 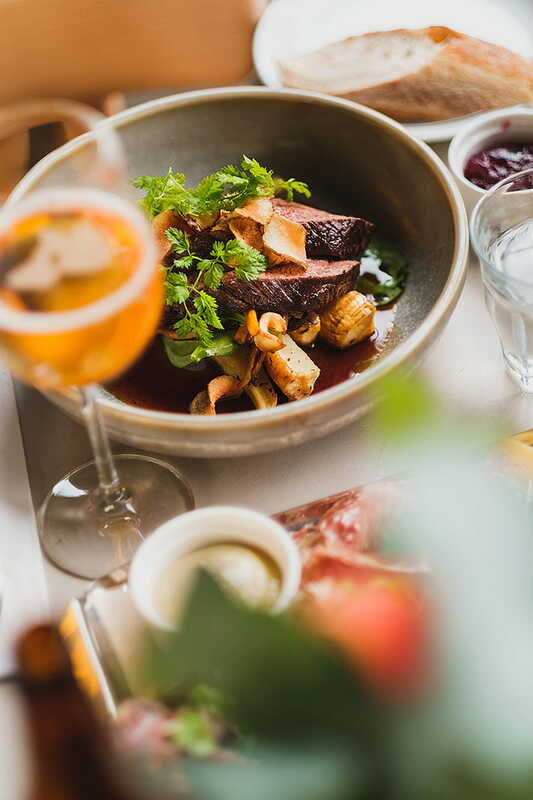 Take a stroll around the premises or enjoy lunch at the orangery, which doubles as a café and restaurant. 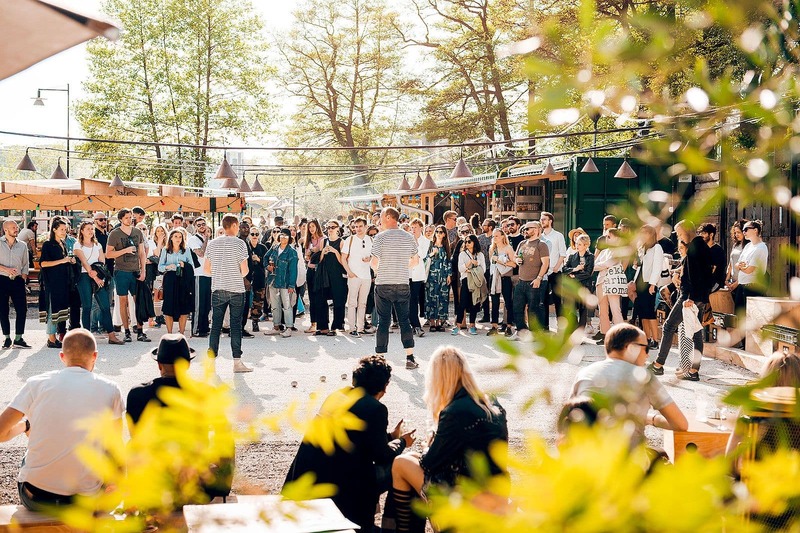 Our guide to activities in Stockholm is updated continuously. Feel free to email us at hello@thatsup.se if you feel that we should add an activity in Stockholm to our guide. 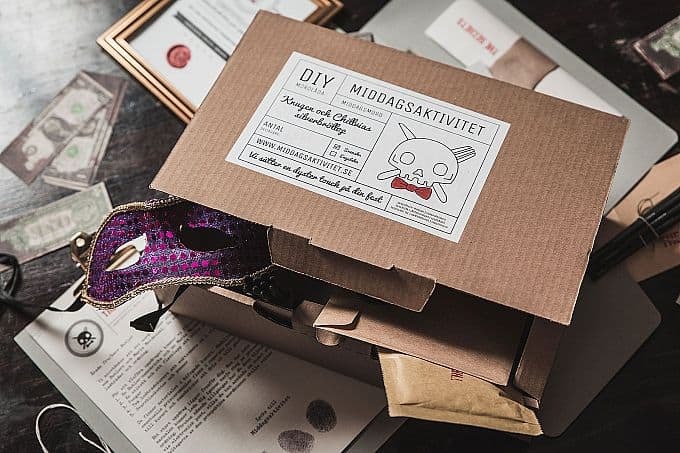 Please let us know if you see any mistakes in our guide to activities in Stockholm.